While there is a lot of talk about immigration to Finland, one rarely hears about Finnish emigration. OVER DECADES, hundreds of thousands of Finns have moved abroad in search of a better life, job, love or some other reason. Similar reasons that bring people to Finland. 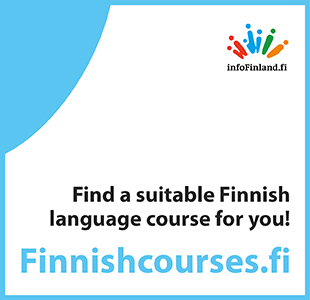 I have been interested in Finnish emigrants, especially those who went to Sweden and North America, for a long time. Last spring in New York I visited old Finnish neighbourhoods, housing cooperatives and "haalis" (halls) built by Finns in Harlem, the South Bronx and Sunset Park. The exact number of expatriate Finns is hard to estimate for lack of a clear definition of just what constitutes an expat. Some estimates based on looser definitions put their number at around two million. Last week, I travelled to Canada and the United States with the foreign affairs committee of the Finnish parliament. In Ottawa, we met members of the Canadian parliament’s committee for foreign affairs, senior staff at Global Affairs Canada, and other foreign policy experts. Mark Gwozdecky, Assistant Deputy Minister at Global Affairs Canada – their Ministry for Foreign Affairs, was very proud of his Finnish roots. We were lead to another meeting by a civil servant named Pirkko who had named her second child Aino after her cousin. The wife of senator Vernon White, whom we met at the parliament, is a Finn. Each year, Canada welcomes about 350,000 migrants and refugees. An equivalent number in Finland would be around 55,000. Canadians perceive migration as a positive thing. Political parties are not very divided on immigration policy. In Canada, asking about a person’s cultural background or descent is a natural thing. In Finland, we may not be so accustomed to that, and some might even consider it offensive. Multiculturalism is visible in Canadian politics, too. They say the Canadian parliament has more Sikhs than the Indian one. Canada is also home to the largest Ukrainian community outside Ukraine or Russia, with a population of 1.3 or 1.4 million people of Ukrainian descent. The fact that they occupy many important positions in business and politics explains Canada’s active involvement in the conflicts in East-Ukraine, Crimea and the Sea of Azov. Immigration is a relatively new phenomenon in Finland and our migrant population is small. This explains why there are so few people with migrant background among key decision-makers. This, however, is changing with each passing year. Our previous parliamentary elections marked the first time someone with a refugee background won a seat at the parliament. It will be interesting to see how Finland becoming more multicultural will be reflected in our parliament’s composition after next April’s elections.